On Wednesday 28th June 2017 we held a one day conference on sleep disturbances in children with brain conditions to share developments in sleep research and look at how this new information will affect parents, carers and professionals. The conference was full of useful information and a great chance for people to meet and discuss ideas. You can find out more about the talks below and download some of the presentations. Dr Andy Bagshaw who is a Reader in Imaging Neuroscience at the University of Birmingham gave a fascinating talk on what sleep is and why it so important. Dr Cathy Hill is an Associate Professor in Child Health at the University of Southampton and Honorary Consultant in Sleep Medicine at Southampton Children’s Hospital where she has built up a multi-disciplinary children’s sleep disorder service. Cathy’s talk gave an overview of the effect breathing difficulties during sleep can have on brain function and development, including data from her research in children with severe motor disorders and Down syndrome. Leeann Stevenson is the mother of three children, including Lily who is 10 and has Smith-Magenis Syndrome (SMS), a condition that commonly features disrupted sleep patterns. Leeann’s talk was about the impact having a child with sleep disturbances has on family life. Claire Varey, one of Cerebra’s Sleep Practitioner gave a presentation on the work of our Sleep Service and how it can help families with children who have difficulty sleeping. Dr Caroline Richards who is leading Cerebra funded research at the Cerebra Centre for Neurodevelopmental Disorders – University of Birmingham gave a talk on the links between pain, challenging behaviour and sleep in children with neurodevelopmental disorders. Dr Anna Joyce is a Research Associate in Psychology at Coventry University. Anna’s talk described various sleep problems experienced by children with neurodevelopmental disorders and how sleep affects children’s cognition, illustrated with some of Anna’s recent work. Georgie Agar is a PhD student at the Cerebra Centre for Neurodevelopmental Disorders at the University of Birmgham. Georgie’s talk was all about the research being done at the Centre. 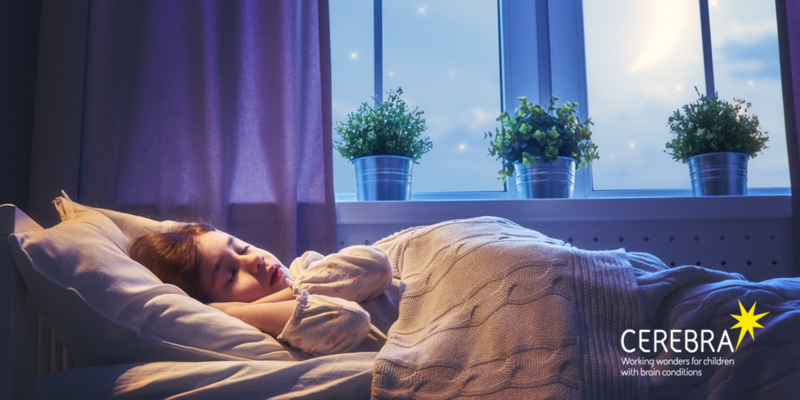 The conference also launched our new Sleep guide that the our Sleep Team, together with the Cerebra Centre for Neurodevelopmental Disorders – University of Birmingham, have developed to assist parents to manage their child’s sleep disturbance. All of our information resources are covered by The Information Standard, a recognised quality mark which indicates that our information is accurate, accessible, impartial, balanced, based on evidence and well-written.